When you’re thinking about a sports car that you want to drive and experience on the roads and tracks in your area, the Dodge Challenger is one that brings you more choices than you’re used to. This impressive model is actually several models that carry one name and it can be the right sports car for you to lease and enjoy on the roads in Tamarac, FL. Not only is this a performance car with everything you want, it’s a vehicle that also has the safety you’re looking for. Imagine a car that looks like it came from the heyday of the muscle car era that has modern engine and safety technology. That’s exactly what this impressive car brings. 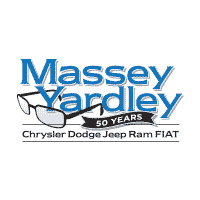 If you’re looking for the right Dodge Challenger to lease, you need to see the team at Massey Yardley Chrysler Dodge Jeep Ram Fiat in Plantation, FL today. This is where you’ll find the model that has everything you’re looking for so that you can drive on the roads around Tamarac, FL. Whether it’s a V6 engine or the massive Demon power plant, the Challenger turns heads and offers an impressive performance. If you’re wondering what’s new for the Dodge Challenger, you’ll be amazed to learn this ca now bring you as much as 840 horsepower when you choose the SRT Demon model and take it out on the track for a drive. Other ways this car has improved to be the one you want to lease is with the Hellcat Widebody which adds wider tires for better handling and a new color that brings you the return of the Plum Crazy purple that has been a classic of the Challenger. Let this be the car for you when you want to show off on the roads in Tamarac, FL. We’ve never had the Dodge Challenger offered with the benefits of AWD in the past. This was always considered a car that was built for the drag strip and for pure muscle and raw power in a straight line. Now you can lease this sports car and choose the GT trim which will give you the benefits of AWD for your drive. This addition helps you have the added control you will want to enjoy when you’re on the road in foul weather around Tamarac, FL. Are you ready to drive something that can seriously excite you and nearly scare you to death? If so, the Dodge Challenger is the muscle car that you want to lease from the team at Massey Yardley Chrysler Dodge Jeep Ram Fiat in Plantation, FL. With this team, you’ll be able to experience the ride you want and the performance you’ve been after when you head out on the roads and tracks around Tamarac, FL. Come in and see this dealership team and let them assist you in choosing the Challenger that’s right for you to drive on the road.